Access to improved seed varieties at affordable prices is essential to boost agricultural productivity and increase food security among southern Africa’s smallholder farmers. Dissemination of the improved varieties is however often a challenge due to insufficient production, high prices and lack of variety awareness. To overcome this challenge, CIMMYT, through the SIMLEZA – Africa RISING project provides support to seed companies in seed business development, including building capacity for training and technical assistance, entrepreneurial skills, varietal release and registration, seed multiplication and commercialization to enhance their ability to produce and market improved seed. 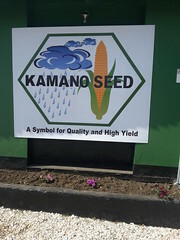 Kamano Seeds, a local Zambian seed company established in 2002 is one such enterprise that has received the project’s support to scale up Drought-Tolerant (DT) Maize varieties across drought-prone areas. The company produces medium maturing hybrids suitable for mid altitudes zones of Zambia and has recently added two hybrids (KAM 601 and KAM602). Kamano also sells open pollinated varieties (OPVs), and legumes such as beans, cowpeas and soybean in addition to the maize hybrids. CIMMYT provided the company with training and technical assistance in seed production, quality control and marketing, facilitating it to produce more than 3,000 tons of certified DTM seed (enough to plant 120,000 hectares) in the 2014/15 season. This was done under the USAID funded SIMLEZA-Africa RISING and the Bill and Melinda Gates Foundation funded Drought Tolerant Maize for Africa (DTMA) projects. 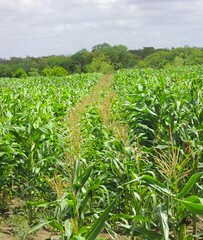 Drought-tolerant maize varieties have been found to yield between 30-40 percent better than commercial varieties under stress and 10-20 percent better under optimum conditions. 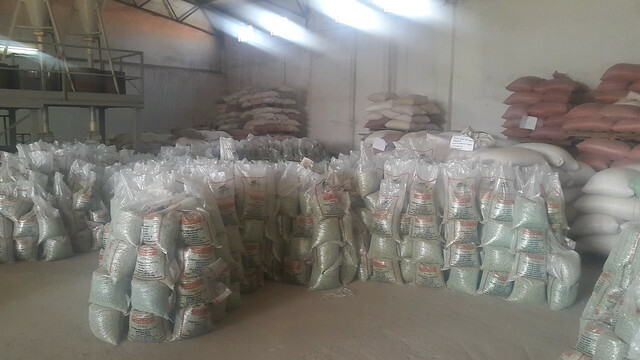 Some of the seed, about 700 tons will be marketed through the Zambian government subsidy program (FISP), and 300 tons through the Ministry of Community Development- subsidized avenues where smallholder farmers can access DT seed. Additional seed, mostly OPVs, is expected to be exported to Angola at the request of the country’s Ministry of Agriculture officials. In addition, the company expects to sell the remaining amount of seed through a network of agro-dealers under the government E-vouchers program, the Harvest Plus program and its own retail outlets on the open seed market. The diversified markets are a result of the project’s training and technical assistance in seed production, quality control and marketing including direct support for preparation of a comprehensive marketing strategy. Encouraged by the demand and good performance of the DTM seed, the company plans to expand production in the coming season and use its network of 150 agro dealers to meet the ever-increasing demand. “Since working with CIMMYT, we have unlocked our production potential,” said Sylvia Horemans, Marketing Director of Kamano Seeds. The company plans to intensify promotion of legumes such as beans, cowpea and soybean alongside DTM. “Having a diversified product portfolio is important to appeal to and satisfy farmers’ needs as farmers don’t only grow maize but other crops too”, said Horemans. 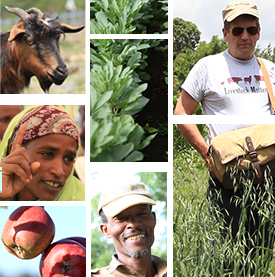 The company’s strategy is to become a one-stop-shop for production inputs and a variety of seeds. To keep up with genetic gains, Kamano seed has selected three new hybrids from CIMMYT, which have been submitted to the Seed Control and Certification Institute (SCCI) for release, to add on their range of products. 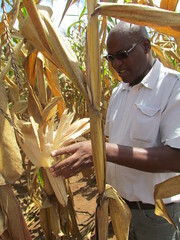 “It’s important for us to have a range of maize varieties: early, medium and late maturing to meet the needs of the farmers”, said Dominic Daka, the Quality Manager of Kamano Seeds. Without its own breeding program, the company relies on CIMMYT breeders’ and seed systems’ team to provide technical support and initial breeder’s seed. It has in turns worked closely with extension agencies to train smallholder farmers on quality standards, field inspection and isolation distances to ensure the seed they produce meets the set quality standards. CIMMYT works with six other Zambian seed companies- supporting them to improve seed production and dissemination. It is also providing needed input for greater seed policy reforms in southern Africa in order to facilitate easy seed movement across borders and to make the variety release and registration processes more efficient. Tags: CIMMYT, IITA, seeds, simleza, zambia. Bookmark the permalink.